Hiring a lawyer can seem like an intimidating task. An online search for “Car Accident Lawyer Beaverton, OR” yields a long list of attorneys within the area. If you are looking for a personal injury and auto accident attorney in Beaverton, call Ryan Hilts to see if he is a good fit for you. In Ryan, you will find an attorney who is respected by both his legal peers and his clients. One of the most important factors to consider when selecting a car accident lawyer serving Beaverton, OR is to determine if the attorney’s expertise is consistent with what is needed for your specific case. Furthermore, you want to make sure that you have a good feel when you consult with the attorney. 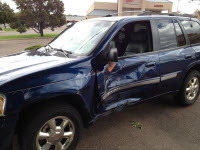 Ryan Hilts is an experienced car accident lawyer serving Beaverton, OR. He understands the intricacies of the personal injury field which helps him accurately evaluate cases and achieve the best possible results. Ryan Hilts is a personal injury attorney in Beaverton OR, who has proven that he can consistently achieve a fair and successful outcome for each client. If you would like to receive more information on auto accident claims and personal injury law in the Portland metro area, and to specifically discuss the details of your case, contact Ryan Hilts for a free consultation: (503) 726-5960.